Were you caught in possession of methamphetamine and now face criminal charges for felony drug possession? If so, you should waste little time in securing legal representation. The state of Florida takes meth charges seriously, and you need to know that you are facing severe consequences in the event of a conviction. We understand how overwhelming and scary these penalties are and we are here to help. The Orlando drug crime defense lawyers at The Umansky Law Firm are seasoned drug offense attorneys who’ve mitigated penalties in numerous felony drug possession cases. 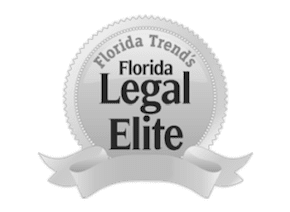 With over 100 years of combined legal experience and time spent as prosecutors on the state and local level, we have a thorough understanding of Florida’s legal system and can use that to your advantage. The penalties you face may be serious, but you do have legal options. Reach out to us today to learn more about how you can benefit from having private legal representation. The state of Florida classifies methamphetamine, sometimes called crystal, speed or meth, as a controlled substance. Drugs also classified as Schedule II narcotics include cocaine, morphine, and oxycodone. Possession of up to 14 grams of methamphetamine is a third-degree felony. Per Florida Statute § 322.055, a conviction will also result in a mandatory two-year suspension of the defendant’s driver’s license. Possession of 14 or more grams of methamphetamine is considered drug trafficking. Even if the drug is “cut” with additives, law enforcement counts the total weight of the mixture. The courts penalize drug crimes with mandatory sentencing laws in Florida. This means that a judge has little discretion when sentencing defendants who are guilty of methamphetamine trafficking. Per Florida Statute § 893.195 (1) (f) (1), the penalties for trafficking methamphetamine are as follows. Meth is viewed as damaging not only to the person using it but also to the community. The production of meth in makeshift labs can result in fires and explosions that can injure and kill innocent people including law enforcement personnel and emergency responders who are called to a meth house. Possession of precursor chemicals such as phenylacetone, phenylacetic acid, pseudoephedrine or ephedrine with the intent of manufacturing meth is a second-degree felony per Florida Statute § 893.149. Causing the death of someone else through the manufacture of meth is a capital felony, punishable by death or life in prison. There are several defenses to meth possession and manufacturing charges. These can include illegal search and seizure, insufficient evidence or a valid prescription; however, doctors rarely prescribe methamphetamine, so that defense usually does not work. If the police pressure a person into a search or overstep their bounds in a search, the evidence, such as confiscated methamphetamine, will be suppressed in court. They must obtain a search warrant in “good faith” with concrete evidence backing their request. The police must also have probable cause or facts in order to arrest a person. Probable cause keeps law enforcement from arresting people just because they don’t like that person or based on flimsy excuses. Solid reasons for probable cause in arrests can include physical observation, circumstantial evidence or testimony from others. A defendant must be in actual possession or constructive possession of methamphetamine in order to be convicted. Actual possession means that the drug was physically on the defendant. Constructive possession means that the defendant had access to the drug, such as in the kitchen of a residence, the glove box or center console in the car or anywhere the person should have known the drug was present. Constructive possession is much more difficult for a prosecutor to prove because he must show three elements. The defendant had to know the drug was present. The defendant had to know the drug was methamphetamine. The defendant had to be in charge of the drug, also called dominion and control. For example, if you rent a room from a friend and the police find drugs hidden in the living room, they would need proof that you knew the methamphetamine was present. Even if you saw the drug and knew it was present, they would need to prove that you knew it was methamphetamine. If the drug was found in your landlord’s room, you would not be arrested because you did not have access to or dominion and control over it. Do You Need Help With Your Meth Charge in Orlando? At The Umansky Law Firm, we are here to help minimize the effects of a meth arrest on your life. Our drug crime defense attorneys represent juveniles and adults who are arrested on meth possession and manufacturing charges in Orlando and other communities in the Central Florida area. We have a team of former state and local prosecutors with more than 100 years of combined experience that we put to work when fighting for your rights. Our qualified attorneys have tried hundreds of drug offense cases and are prepared to take yours. To schedule a free case evaluation with an Orlando meth arrest attorney at The Umansky Law Firm, contact us at 407-228-3838.